With 21 weeks until Opening Day of the 2019 Florida State League Season, this series will look back at each of the 21 seasons that Jupiter Hammerheads have existed, leading into Opening Day 2019. Each Monday, a different Jupiter Hammerheads team, in order of year, will be profiled until the 22nd season of Hammerheads baseball begins on April 4th, 2019. In 1998, the Montreal Expos relocated their Advanced-A affiliate from West Palm Beach, Florida to Jupiter, Florida, a 10-mile trip up I-95. 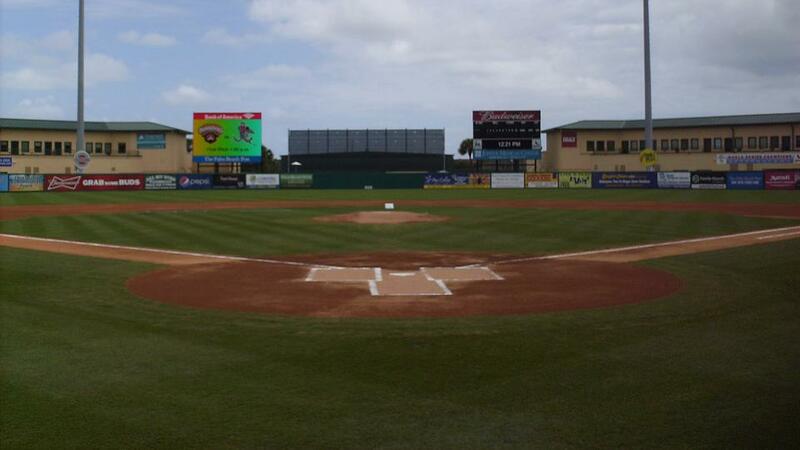 They moved into the brand new Roger Dean Chevrolet Stadium where they still call home. With that move, the team's name changed from the West Palm Beach Expos to the Jupiter Hammerheads. In their very first year of existence, the Hammerheads had an 80-60 record, which still stands as the second best record in the team's history. The team made an appearance in the Florida State League playoffs, however fell in the semi-finals. The manager that year, Doug Sisson, earned a promotion to Double-A with the Expos the very next year and would make it to the Major Leagues as a First Base Coach for the Kansas City Royals in 2011 & 2012. The Pitching Coach, Wayne Rosenthal, also made it to the Majors as a Pitching Coach with the Florida Marlins in 2003-2004. Along with Sisson, 14 other everyday players also made their way to the Majors. Highlighting that list was MLB All-Star Milton Bradley who hit .287 with 11 home runs and 53 RBI in 67 games. Brian Schneider, 13-year MLB veteran, played in 82 games while hitting .272. The other hitters to make it the to the big leagues were Tomas De La Rosa, Simon Pond, Andy Tracy, Jamey Carroll, and Talmadge Nunnari. Chris Schwab finished third in the Florida State league with 23 home runs. On the mound, the staff's ace was Tony Armas who led the Florida State league with a 2.88 ERA with a 12-8 record. He went on to have a 10-year MLB career of his own. He finished sixth in the Florida State League that season with 136 strikeouts. Jake Westbook, the then 20-year-old, had an 11-6 record in 27 starts and a 3.236 ERA in 171 innings pitched. He would go on to have a 13-year MLB career that included one All-Star appearance and a 2011 World Series Championship with the St. Louis Cardinals. Some other notable pitchers to take the hill at the MLB level were Troy Mattes, Scott Strickland, David Moraga, Matt Blank, Guillermo Mota, Tommy Phelps, and Jayson Durocher. The team's attendance in its inaugural season was 94,155 and ranked fourth in the Florida State League. Head back to Jupiterhammerheads.com next Monday as we take a look at the 1999 squad!